Adam Butler aka VERT’s first album was titled ‘The Köln Konzert’ and appeared in 1999 on sonig, the Cologne institution for nonlinear electronic music. Shortly afterwards Butler left his home in London and was pulled into the Bermuda Triangle of Mouse On Mars / a-Musik / sonig; at the end of the nineties, Cologne was after all still the capital of German electronic music. In the years that followed, he left his mark on the experimental electronic scene and defined his own complex sound language. After three albums on sonig, VERT released ‘Some Beans and an Octopus’ (2006) – an album focused more explicitly than ever before on songwriting and pop music. With this, his last regular album, he succeeded beautifully in getting the balance right between song and experiment. In hindsight, it must have had something to do with his weakness for ragtime. But then in 2009, Butler declared that he would stop making music. Fans, critics, and record labels were shocked. Instead, he wanted to write a novel. Which he did. It was not until the death of his father, himself a passionate musician, that VERT finally decided to go on. So now, nine years after “Some Beans…”, VERT is back. And it’s as if his last album for sonig just came out. The eleven songs on THE DAYS WITHIN don’t have much to do with ragtime, but they have plenty to do with songwriting. A kind of songwriting that is so typical of VERT, who has meanwhile relocated to Berlin, that it can hardly be mistaken for anyone else’s. The tracks on THE DAYS WITHIN all have such a well-defined profile that it is difficult to describe them in terms of one specific style. Butler doesn’t like to use the same idea twice. His signature as a songwriter and producer is more recognizable by atmosphere than by harmonies and hooks. 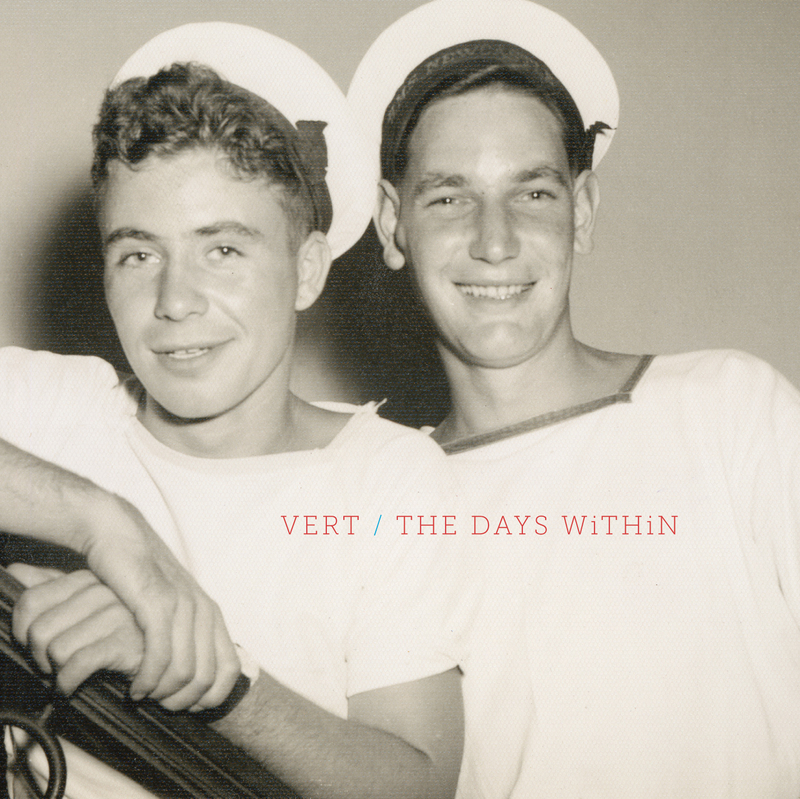 VERT’s music is a mix of melancholy, sophisticated arrangement, densely woven sounds, delicate irony, and many surprises. In BURY YOURSELF we hear clattering percussion and a host of apparently incidental sound events. A loose, catchy vocal melody and an effervescing synth line play with arabesque echoes. The main atmosphere is dark, and Butler’s voice has a smoky patina. DOG DAYS begins with noisy Morse code and intermittent, lugubrious harmonium chords. It sounds like sea travel, wanderlust. The song is so succinct that it would work just as well with only piano and vocal. Each of the many hisses, rattles, and beeps that swarm around I RUN THE WAVES seems to have a life of its own. Everything is out of place, yet everything fits together. The macabre LIKE A ROSE takes us to a harbor dive bar where Kurt Weill sits at the piano, surrounded by drunken prostitutes. And so it goes on. No two tracks are alike, but it all fits together. Maybe it’s the slightly ironic vocals that always wobble through the most haunting melodies. The poignantly simple strings. Or the nervous rasping in the background. Hardly a track on THE DAYS WITHIN is wholly unambiguous; everything seems ambivalent and unknowable. Soft strings and beautiful vocal melodies speak a different language to the unsettling hisses and the rumbling bass that lurk behind them. The songs that seem at first glance harmless are the ones that threaten to slide into the abyss. It’s as if Butler, the experienced producer and master of the complex arrangement, is speaking several languages at once. As if ghosts, both past and future, whisper their subtexts behind the beautifully woven arras of every song.